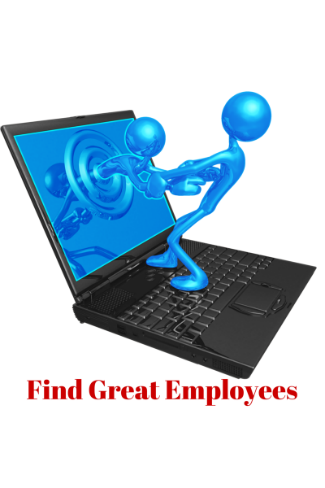 My first piece of advice for finding great employees is to always be looking for them. You would be surprised where you find top-notch talent. Networking events are an obvious place for finding good employees. However, don't always think about the people you meet at networking events, but rather the people they know. When you see someone you know or meet someone new, ask them, "Who are the best people you know? Who should I meet?" Make sure your friends and current employees know you are looking for new employees. Your current employees can be an excellent resource for finding talent because they know how your business operates, what the culture is like, and what types of people would make a good fit. I can't stress how important your business culture is in the hiring process. The following article from the Harvard Business Review put it perfectly; Brand is culture, culture is brand. Identifying your business culture and instilling it into your hiring process is crucial. First, identify what your company culture actually is. You can't write down your business culture like you can your mission and vision. You can influence your business culture through your actions and the way you manage. However, over time, your culture will change and develop on its own. Hiring a good cultural fit can be a difficult task. The clearer you are on what your company culture is actually like, the higher the likelihood you will be able to identify good cultural fits. Try developing a few cultural fit interview questions to identify candidates who will fit in and succeed with your business. LinkedIn can be one of your greatest online resources for finding top talent. Using the advanced search function, you can easily find people looking for an opportunity in your area and in your industry. If anything, you should find people who you think might make a good fit and keep a running list of people who you are "keeping your eye on." You never know when you will need the help and rather than last-minute scrambling, it's nice to have a list of potential employees you can reference. Creating a careers or job page on your company website is a great way to attract new employees. First, by doing this you will meet my first criteria of always being on the lookout for employees. Since your website runs 24/7/365, you have an opportunity to attract employees at all times. Second, posting jobs on your website gives you a chance to drive home your company culture. Be unique and show people what it is really like to work for your business. Post pictures, describe your company culture, and be specific about what a great fit looks like. My last piece of advice covers writing effective and enticing job descriptions. Have you ever noticed, when scrolling through general job advertisements, how boring and similar they all are? Do something different with your job post to make it stand out. Much like a good blog post, only the best titles that are interesting and different actually get a click. Don't be boring; don't do what everyone else is doing. In your job description, tell them who you are really seeking. Explain the culture and what a perfect candidate looks like. If you want to attract the best people to your business, you will have to be different, maybe even edgy. What advice do you have for sourcing employees for a small business?